Full of stunning porticoes and historic architecture, the city of Bologna lies at the heart of the Emilia-Romagna region in northern Italy. Although the bustling city centre is a main attraction for many tourists, the surrounding countryside offers a beautiful landscape from which to enjoy the rich cuisine (much more than just the town’s namesake, Bolognese) provided by the fertile lands of the Po Valley. At the very foot of the Apennine mountains lies the suburban town of Sasso Marconi, named after the famous radio engineer Guglielmo Marconi who hailed from Bologna. 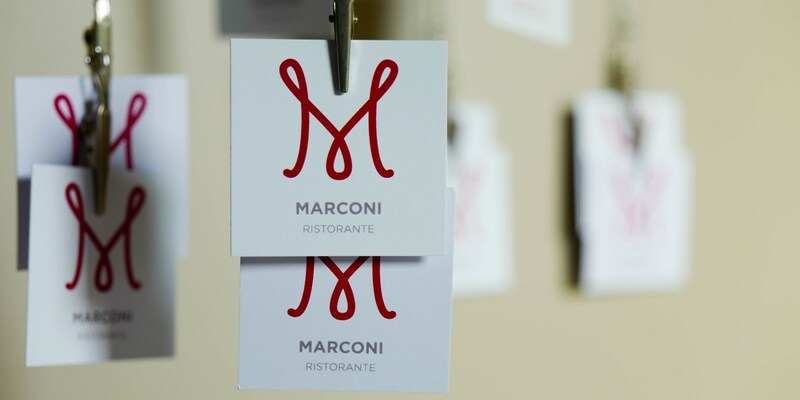 The town is now home to the Mazzucchelli family, who run the small Ristorante Marconi – a restaurant which has been recognised with a Michelin star for the cooking of chef Aurora Mazzucchelli. Originally opened by her parents in 1983, the restaurant soon earned a reputation for wonderful seafood, despite its location in the Bologna hills. With years of experience in the catering industry, this passion seemed to translate through the generations to both Aurora and her brother Massimo, and in 2000 they were handed over the reins of the restaurant: Aurora running the kitchen and Massimo the front of house. The duo spent the next years defining their culinary style and carving a niche for their talents, with the reward of a Michelin star granted in 2008. This award recognises the immense personality and creative energy given to the experience at Marconi, but also to the traditions and styles that the restaurant remains true to. 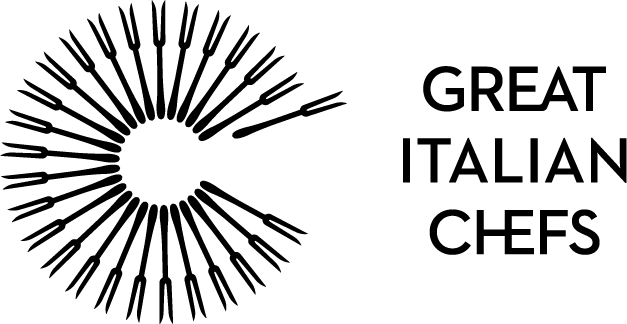 The artistic representation of a fish on the restaurant doorknob refers to their continued reputation for sourcing the freshest seafood from the Chioggia market, while the restaurant itself has a country garden full of fresh herbs and fruits ready to be used in the kitchen. With a sleek, smart dining room full of muted shades and subtle contemporary touches, the focus for the diner is clearly the food. 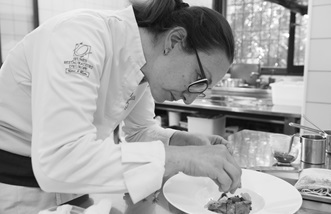 Aurora describes her culinary philosophy as a ‘self-taught passion’, keeping to relatively few ingredients and a simplicity of style; a pasta dish of tortelli may be stuffed with Parmesan, but then enhanced with the natural flavours and fragrance of lavender, nutmeg and almonds. To help diners gain the full Mazzucchelli experience, the restaurant offers two tasting menus, one chosen by Aurora (of eight courses) and one by Massimo (four courses). Massimo’s influence and expertise extends beyond the front of house service to the wine list, which he has curated to include a wide selection of the region’s best wines, as well as a selection of natural wines, for which he holds a particular interest. Aurora and Massimo have created their own sparkling wine from indigenous grape varieties in Spergola, which is offered as an aperitivo at the restaurant: ‘Reserve Fratelli Mazzuchelli’. 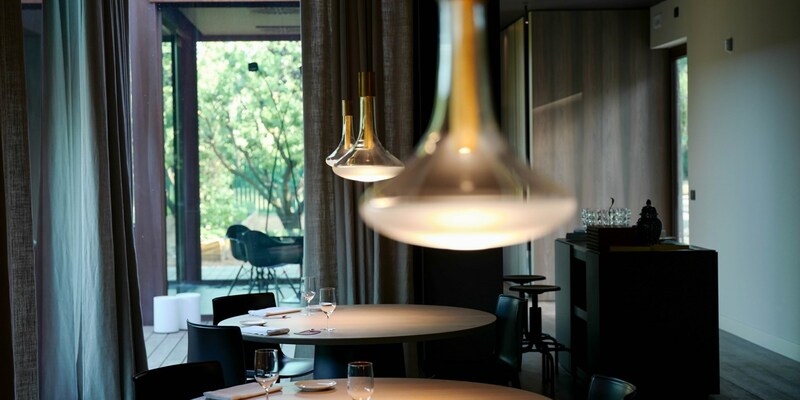 The old farmhouse restaurant was renovated in 2015, which saw the white, minimalist dining room transformed into something more atmospheric and contemporary. Travelling by train from Bologna is fairly easy, as the Sasso Marconi station is on a direct line from the city centre. The restaurant will be happy to arrange a pick-up from the station.